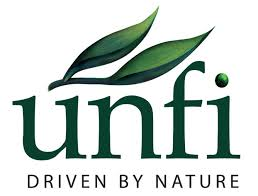 United Natural Foods, Inc. (NASDAQ:UNFI) witnessed an upward rally in the extended trading session on Wednesday after the quarterly results of the company overthrew the market expectations. Shares of United Natural Foods reached $66.79 with a 5% increase in its share price while crossing Wall Street’s estimates on its earnings. United Natural Foods, Inc. (NASDAQ:UNFI) reported net revenue of $1.76 billion for the fourth quarter 2014 with an increase of 7.4% against the net sales of $1.64 during the same period last year. Net income for the quarter was $33.4 million with an increase of 4.0% from the same quarter last year with diluted earnings per share of $0.67. The gross margins witnessed decline from 17.3% in the same quarter last year to 16.4% for this quarter. The net sales for fiscal 2014 were $6.79 billion against the net sales of $6.06 billion in fiscal 2013. The company reported diluted earnings per share of $2.52 for the year. Earlier, United Natural Foods, Inc. (NASDAQ:UNFI) completed the acquisition of Tony’s Fine Foods for $195.3 million and Tony’s Fine is to work as a subsidiary of United Natural Foods. The primary consumer segments of Tony’s Fine Foods include retail and specialty grocers, food service industries and individual wholesale customers. The company has a market cap of $3.14 billion with 100% institutional ownership.